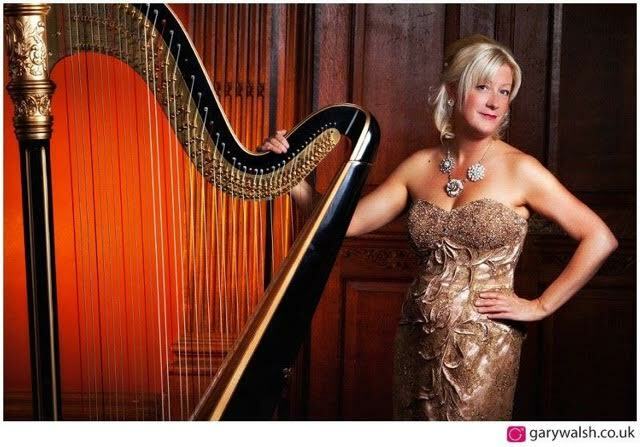 Anita is one of the most accomplished harpists in the North East. She began learning the harp at the age of nine, with Dorothy Gilbertson (in Harrogate) and years later, went on to study at the Guildhall School of Music & Drama. Since graduating from College, Anita has played to Royalty, performed on stages with the London Gala Orchestra, international Opera Singers, has been on set with a television period drama and delighted many audiences with her solo playing. Her musical journey has taken her on many paths, from playing in St Paul's Cathedral ..... to strumming her strings over in Paraguay! Available for events in: Manchester, Cheshire, North Wales, Lancashire, Yorkshire. Would you like to be listed on our 'find a harpist' pages? - A short biography max 250 words. - First part of your post code and the areas you cover. - A promotional shot of yourself.